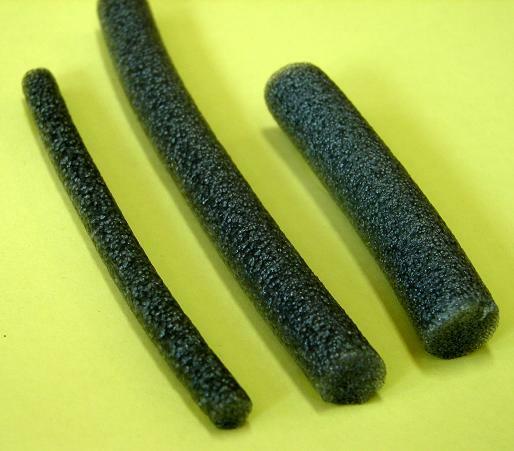 Backer Rod is an extruded, round, closed cell polyethylene foam designed to effectively fill the gaps between logs prior to the application of log caulking. Backer Rod is flexible and compressible; it conforms to the irregularities in the log surface. 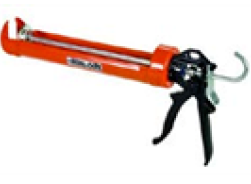 SKU: BACKR-R. Category: Log Caulk. Tag: round backer rod. Backer Rod (round) is extruded, closed-cell polyethylene rod /rope that is used in cracks, checks and gaps before filling them with sealants such as, Energy Seal caulk, Check Mate 2 or Perma-Chink. Backer Rod provides a firm yet flexible surface on which to apply sealants. The sealant will adhere to the log above and the log below but float over the Backer Rod which is a natural releasing agent. The Backer Rod allows the sealant to expand and contract as the log moves due to natural settling and weather changes. Uses: Caulk joints should be no more than 3/8” thick and Backer Rod provides a way to fill a deep crevice or gap while maintaining the proper sealant thickness for maximum performance. Backer Rod should also be used in checks / cracks over 1/4” wide before applying Check Mate 2. Should be used to assure proper thickness of sealants including Perma-Chink, Energy Seal caulk and Check Mate 2. Available in 100 foot bundles. Cases/boxed Backer Rod by special request. Contact a LogFinish.com customer service representative for availability at 888-208-2248. Make sure logs and log gaps are free of moisture and foreign material such as dirt, dust, pollen, mildew and mold. Apply in dry weather. Trapped moisture can cause sealants to blister. Joint or opening should be clean, dry and free of all contaminates and loose materials. Compress Backer Rod into the joint using a smooth blunt tool or a plain faced roller. Gently force Backer Rod into the joint so that the Backer Rod fits right against the side of the joint. Backer Rod should be at least 3/8th inch below the desired finish level of the sealant. Apply masking tape over any joints in the Backer Rod. Do not stretch, puncture or tear Backer Rod during installation. Request a Log Home Sealant Guide from any LogFinish.com customer service representative by calling 888-208-2248 or email us at info@logfinish.com. Be the first to review “Round Backer Rod” Click here to cancel reply. Energy Seal Log Caulk is designed to seal milled and scribed log homes. One application makes any log wall completely weather-tight. ENERGY SEAL has more adhesion and stretch than any other sealant you can buy and is long-lasting, UV-stable and chemical-resistant. For Use With 11, and 30oz Tubes of Energy Seal, Woodsman and Perma-Chink.